The history of current city begins since 1854, when Russian expansionists built the fort on the shore of Malaya Almatinka. But the history of this territory, within the area of Almaty, has more than 3000 years of people’s stay. The Saka tribes settled here approximately in X century BC, and first evidences of their stay in this region are numerous burial tumuli of VI-III centuries BC, which mostly are hidden under residential districts of Almaty today. Little by little different tribes of nomads, tillers and traders began to settle here and the development of Silk Road promoted the formation of rather large settlement, which approximately in X century was named Almaty. And the evidence of the development of trade in this region is the notes of Genoese traders of VIII-X centuries. In the beginning of XIII the entire Central Asia was invaded by army of Genghis Khan – cities were burned down and went to rack and ruins. The settlement of Almaty also has not escaped this fate, but after collapse of Mongol Empire it was quickly rebuilt. However, in the end of XVI century this settlement fell into decline, because sea trade roads were developed, and the Silk Road lost its transportation and economic importance. Some settlements and auls were preserved till the birth of the current city Almaty, which happened on February 4, 1854. on this day the Russian Government made the decision to built the military fortification on the coast of river of Malaya Almatinka, and by autumn of that year the Fort, which was called Verniy, has already towered there. Some years later the number of migrants reached to 5000 people, and own infrastructure was developed here. In 1867 the settlement around the fort was so expanded, that it was declared the new city Verniy, which on April 11 of the same year became the administrative center of Semirechinsk region, being the part of Turkestan Governor-Generalship. 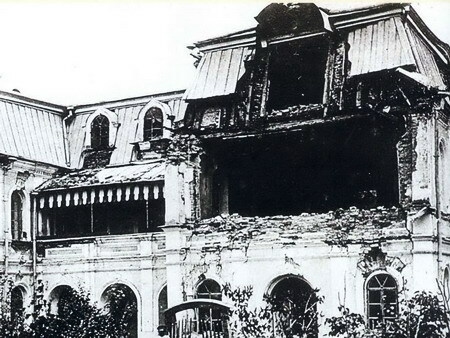 On May 28, 1887 the heavy earthquake caused the destruction of major part of the city Verniy. After it, for some dozens years people built up only wooden houses, which are more seismically steady in comparison with one, made of bricks. In 1918 the Soviet power was declared in the city, and on February 5, 1921 the name of city was transformed on Alma –Ata (in translation from Kazakh language “Father of Apples”). At the same time the city was declared the capital of Kazakh ASSR. The city got the new round of development, becoming the foothold for development of Eastern Siberia. It gained even more importance during the World War Second, providing the supply of troops and sheltering the refugees from front-line cities. During the war the representatives of many nations of Eastern Europe were evacuated and also Koreans from Far East were deported here. All of this influenced on multinational population of current Almaty. After adoption of Independence Alma-Ata was renamed on Almaty, and in 1997, according to the decree of the President the status of the capital was transferred to Astana (city on the north of the sate). Today Almaty unofficially is called Southern Capital, and demotion of status did not affected the development of the city and it continues to grow.